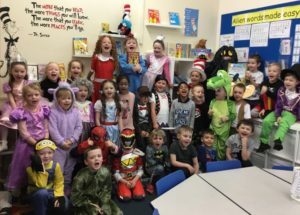 A big thank you to all the parents/carers who came in to read with their children on ‘World Book Day’. Over 50 of you came in which was more than double the number from last year, which is fantastic. 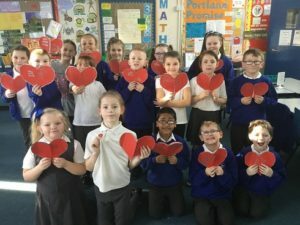 The pupils really enjoyed the opportunity to read with you! Do ask your child about what they have learned and look out for displays around school and updates on the external screen. As I mentioned in my previous newsletter we currently have an additional vacancy for a parent governor. Can I please ask anyone who is interested to let the school office know by Friday 22nd March. • Frequent absence for medical reasons will not necessarily be authorised unless a child has an established medical condition or health need. • If your child has a poor attendance record due to frequent medical absences you will be asked to provide evidence of visits to your GP. • Routine trips to the dentist and outpatient appointments should be made for after school or in the school holidays whenever possible. • Moving forward we will be asking to see appointment cards or letters for all medical appointments. Should you have any questions or feel that you need some support, please do not hesitate to contact Mrs Tolcher (Attendance & Welfare Officer) via the school office. Starting from Wednesday 27th March (and initially for the following 5 Wednesdays between 9:00am and 12:00pm) a Project Co-ordinator (Michelle Naylor) from Shaftesbury Club will be available in Cosy Corner for parental ‘drop ins’. She is available to offer advice and guidance around accessing services, benefits and form completion etc. Do ‘drop in’ and see if she can be of any help. The new lunchtime menus are now available on the school website (under the Parents Section). Our final INSET day of this academic year will be on Thursday 2nd May. Pupils will not be in school on this day but will be in school as usual on Friday 3rd May.